You know how people are always screaming for more diversity in Oscar nominees and those against it yell about how it would inevitably lead to affirmative action and that everything should be judged on merit? 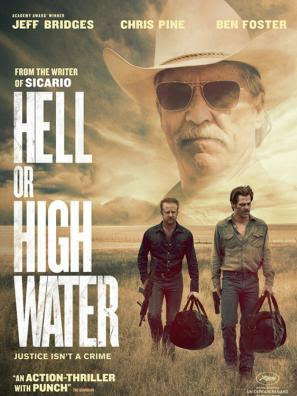 Do you think those same people would argue that Hell or High Water was a recipient of that forced diversity? Because I sure as hell would. Look, I appreciate the attempt to incorporate something other than war dramas or movies about social issues into the Best Picture category. But anyone who watched this movie and thought to themselves, that was the best movie of the year! must have literally not watched any other movies during the year. In fact, I'm convinced the only reason this movie got any recognition is because Jeff Bridges is in it and Academy voters thought to themselves, "Jeff Bridges acting like a cranky old man? That seems new!" completely forgetting about the time they nominated him for Crazy Heart. And True Grit. 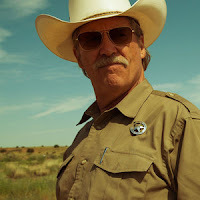 It's as if Clint Eastwood's retirement from acting has left this void of angry old men that Hollywood seems desperate to fill with Jeff Bridges. The funny thing is, there is good acting in the movie and it doesn't necessarily come from Jeff Bridges. It doesn't really come from Chris Pine either, who looks surprisingly at home with greasy hair and a handlebar mustache. The best acting in the movie actually comes from Ben Foster, who manages the cliched role of "bad-seed brother with a good heart" with a good balance of smarm and charm. The movie is a little hard to watch because not only is it terribly predictable, but it's not even particularly interesting. The brothers are exceedingly stupid and reckless, to the point where I almost couldn't decide if I wanted them to actually get away with all the robberies. Except that would mean Jeff Bridges' character would win, and well, he's pretty unlikable with all the racist jokes he tells. When you think of a Best Picture nominee, you imagine a movie with an exciting characters and a plot that grips you and stays with you long after the movie has ended. This movie, while perfectly adequate in terms of plot and acting, falls well short of that "best picture" bar. But here it is, chosen as one of the best movies of the year. And that really sums up 2016.